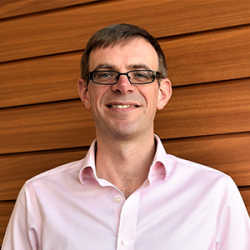 Mark joined Transport Systems Catapult to lead projects developing automated and autonomous vehicle technologies. He has responsibility for the Technology Strategy for Intelligent Mobility, alongside a portfolio of autonomous vehicle related projects, including the drone and driverless car domains. During the early part of his career he was engaged in a wide variety of autonomous vehicle related research and development projects for QinetiQ, including vehicle guidance and control, navigation technologies, remote sensing, and telematics. Highlights include working as Theme Leader for Autonomy and Decision Making within the ASTRAEA UAS project, a £62M collaborative project between industry and TSB/Innovate UK which targeted development of technologies to enable the operation of UAVs within civil airspace. He has recent experience in a business management role, running a research and development focussed business unit within the aerospace sector. Mark graduated with a Batchelor’s in Engineering and a Master’s in Mechanical Engineering from the University of Bath. A timely event for an industry set to be transformed by connected and automated technology, data and new business models.